It's the book that launched a zillion faces! 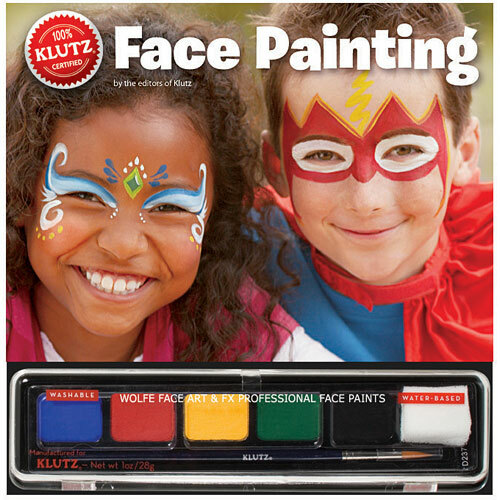 This complete kit is ideal for parties, Halloween, and dress-up with 6 ultra-safe Wolfe FX Professional Face Paints in bold, bright colors; easy-to-use tear-out cheat sheets; and loads of kid-pleasing designs. 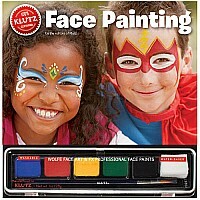 Measures approximately: 1.00 x 9.50 x 9.33 inches..